★ Aaron McGruder; illustrator; writer; and creator of the popular strip, and TV Show, The Boondocks. 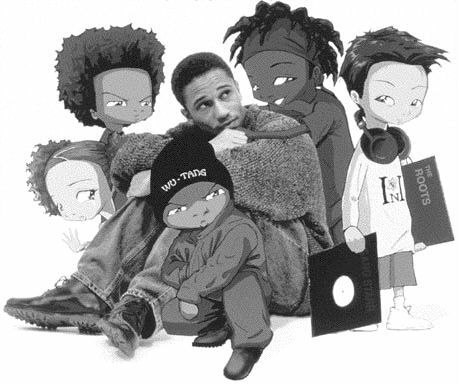 Aaron McGruder was born on May 29, 1974, in Chicago, Illinois. He is a cartoonist best known for writing and drawing The Boondocks, a Universal Press Syndicate comic strip about two young African American brothers from inner-city Chicago now living with their grandfather in a sedate suburb. McGruder graduated from the University of Maryland with a degree in African American Studies. 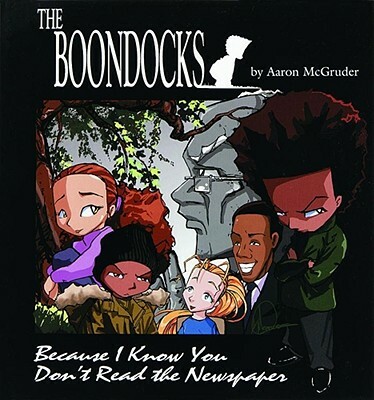 The Boondocks debuted in the campus newspaper, The Diamondback, in late 1997. He recently worked as a screenwriter in the final treatment of the upcoming film Red Tails. With George Lucas as executive producer, the story is based on the Tuskegee Airmen, a group of African-American combat pilots during World War II. McGruder currently lives in Los Angeles, California. 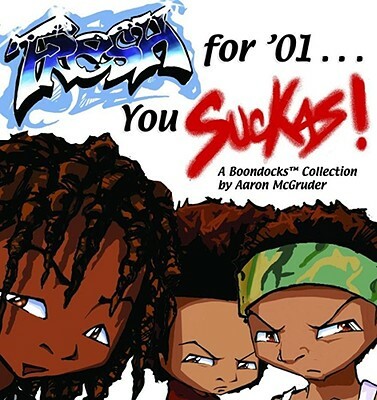 Q: How did The Boondocks start and what happened to it before its debut in the Source? 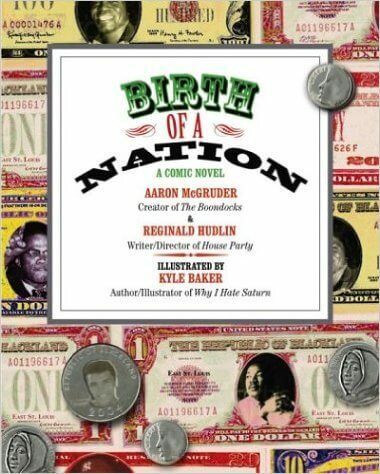 A few years ago a young and somewhat inept illustrator, Aaron McGruder, dissatisfied with both college and the comic book world began playing with the idea of creating a "black" comic strip - inspired by his love of hip hop and saturated with political and racial satire. My first opportunity to debut this bizarre creation to the world came in February 1996 on The Hitlist Online. Anyway, that handful of you out there who have become fans of the strip know that if The Boondocks is anything - it's inconsistent. I have to take personal responsibility for the shameful "here today, gone tomorrow" appearances of the strip over the years. Finishing school, having a life, making moves, and not getting paid for any of this often meant that drawing and writing The Boondocks took a backseat to everything else. I know there were several promises made about weekly and even daily strips online, and to all those who were holding their breath, well...please rest in peace and I'm very sorry. For everyone else, though, The Boondocks is about to be in your face very often and in a very big way. Q: Is there a book or comic book available? A: No. 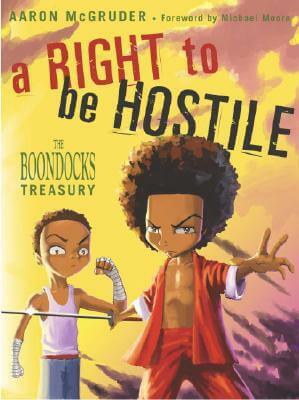 There will be Boondocks books, but I don't foresee one being released for AT LEAST a year. Q: Will the strip be in (insert local newspaper here)? A: The strip doesn't go up for sale to newspapers until September, so I won't know until right before the strip debuts in the 3rd week of November which papers it'll be in. If you want to see the strip in your local paper - just write the paper and let them know. It'll make a difference, believe me. 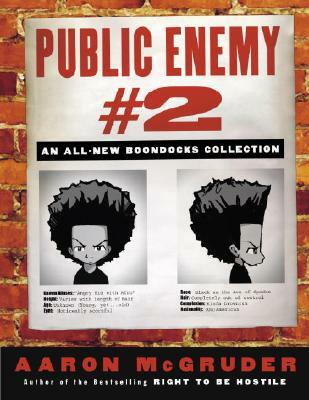 A: There is currently no Boondocks clothing available anywhere (if you have seen any let me know 'cause its bootlegged). It will be coming soon though - hopefully by the end of the summmer and available first and foremost through this website! So keep checking with us. Q: Why do you make fun of Puffy so much? Q: Can you email me pictures (of the characters, nobody wants pictures of me)? A: I generally don't do this, because my modem is so slow it wouldn't be a very nice picture. However, one of the things we're trying to make available over the site will be posters and other character reproductions - many will be exclusive to this site. Q: What's the status on the television show? A: It's moving forward, slowly but steadily. We have an animation studio in our corner, and we'll be talking with networks this summer. Fortunately, we have one of the best directors in the biz on our team, Reginald Hudlin - so we can't go wrong!! Tell us how much you like Aaron McGruder.